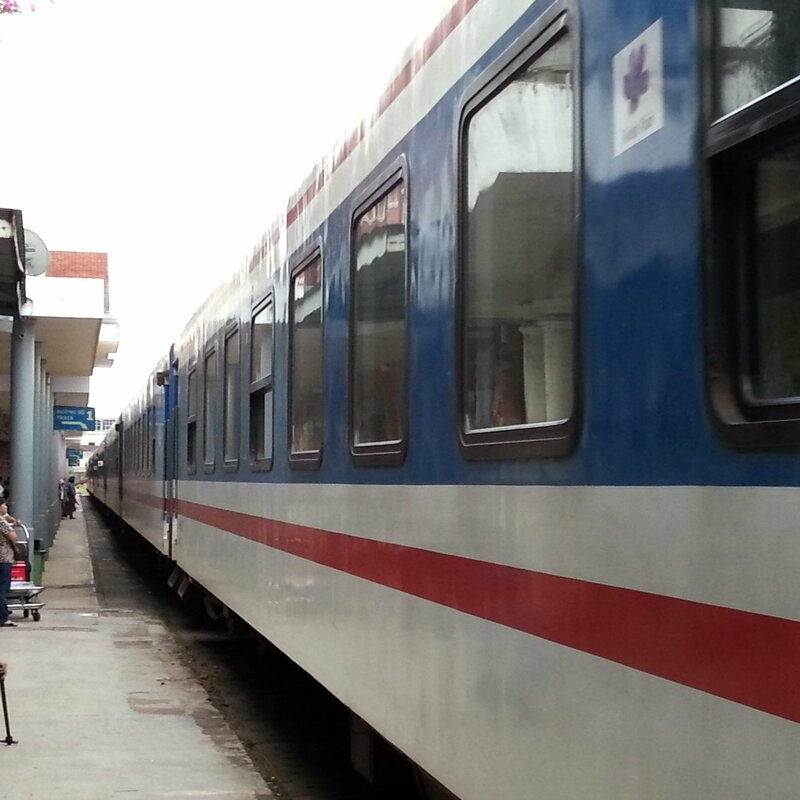 By train it takes slightly under 3 hours to travel 94 km from Hue to Da Nang. This is a relatively short journey for which one of the cheaper 2nd Class A/C seats offers enough comfort for travellers more used to trains in Western Europe, Malaysia or North America. The fastest train service from Hue to Da Nang is Train #SE1, which departs from Hue at 10:59 and is scheduled to arrive in Da Nang 2 hours 42 minutes later at 13:41. The slowest of the train services from Hue to Da Nang are Train #SE9 and Train #SE21 both of which are scheduled to complete the journey in 2 hours 55 minutes. Printed versions of electronic ticket vouchers are accepted on trains in Vietnam. If you buy a train ticket online using the Search Box above you do not need to collect a standard printed ticket from a railway station before you travel. Hue Train Station is located 2.3 km from the Imperial Citadel. Da Nang Train Station is located 2.7 km from the Dragon Bridge. DHC Marina is a riverside area in between the famous Dragon Bridge and the Love Bridge. The marina has cafes, restaurants and a concrete structure which resembles a cruise ship permanently moored and accessible by a bridge. The ‘cruise ship’ has a restaurant, bar, seating area and clean toilet facilities. The centre piece of the DHC Marina is a platform over the river which features a large white statue of a fish transforming into a dragon. After 7 pm at night a fountain sprays water from the mouth of the dragon part of the statue which lit up b multi-coloured lights. The big draw for visitors to come to the DHC Marina, however, is not the marina itself it is the views across to the nearby Dragon Bridge. The Dragon Bridge is 666 metres long and has a dragon shape incorporated into the middle section of the structure of the bridge. This dragon is illuminated with LED lights every night, and from 21:00 on Saturdays, Sundays and Public Holidays, fire or water comes out of the mouth of the dragon. 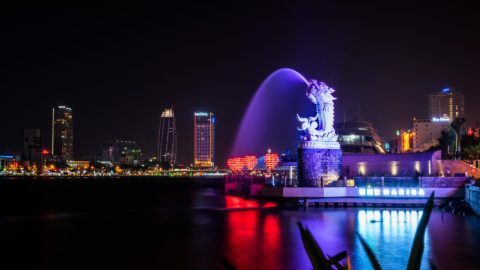 The bridge was completed in 2013 and since then it has become the most iconic attraction in Da Nang, and the DHC Marina is probably the best place to be to get a night time view of the bridge. It gets very busy at weekends with foreign and domestic tourists, and a sizeable proportion of the city’s residents.